A common problem with rider position is the tendency to grip with the knees. This not only makes your position in the saddle unstable, it causes your lower leg to come away from the horse and become less effective. Here are some helpful tips on how to stop yourself from gripping with your knees. Before you begin to work on correcting faults with your position, it’s important to understand just what you’re aiming for. Your thigh should lay flat and relaxed against the saddle flap. Your knee should be turned in to rest against the knee roll, but it should not grip. 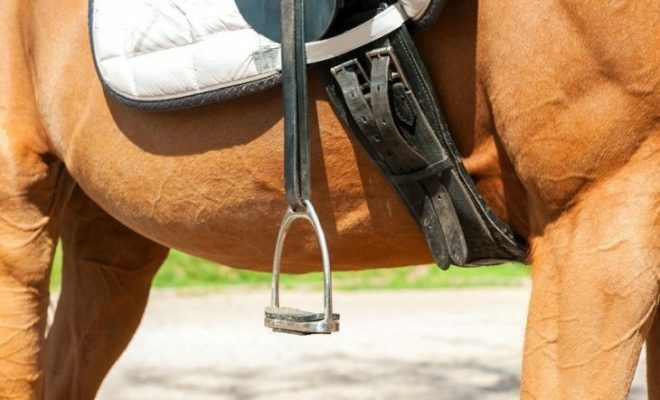 Your knee should be bent to allow your lower leg to hang at an angle by the horse’s side. Don’t try to ride with your knee straight in order to achieve a long, ‘dressage’ leg position. If your knee is too straight, you lose the shock absorbing capability created by the angle with the result that your seat is pushed up and out of the saddle, so that you can’t sit to the trot or canter without bouncing. Your heel should be down. This causes the calf muscles to stretch down whilst remaining in close contact with the horse’s sides. 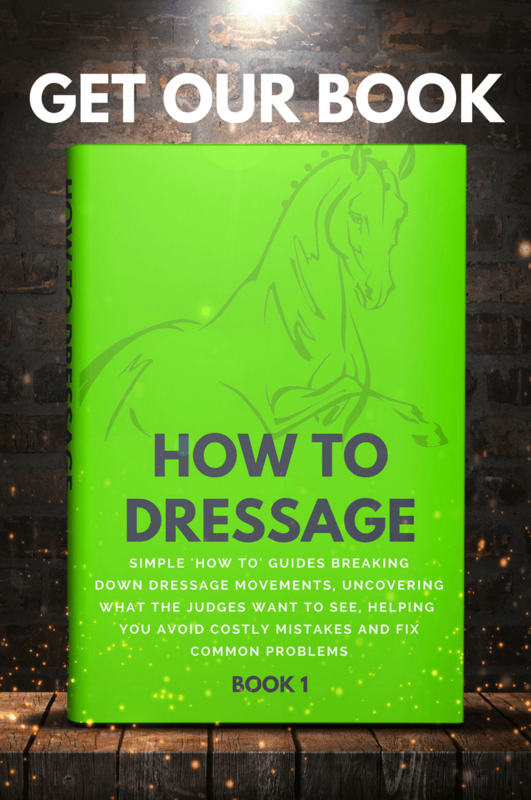 This enables you to give your horse clear leg aids without the ‘background noise’ that’s often created by a rider whose leg continually kicks or squeezes the horse. 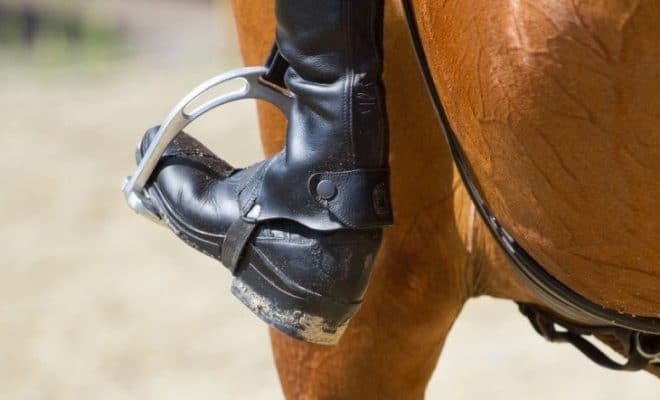 If you grip with your knees, your lower leg comes off the horse and moves around, delivering random bumps to the horse’s side. This makes it very confusing for the horse who has to try to extract your leg aids from all the background noise created by your flapping lower leg. Gripping with your knees can also make them rise upwards, which in turn causes your leg to come forwards. 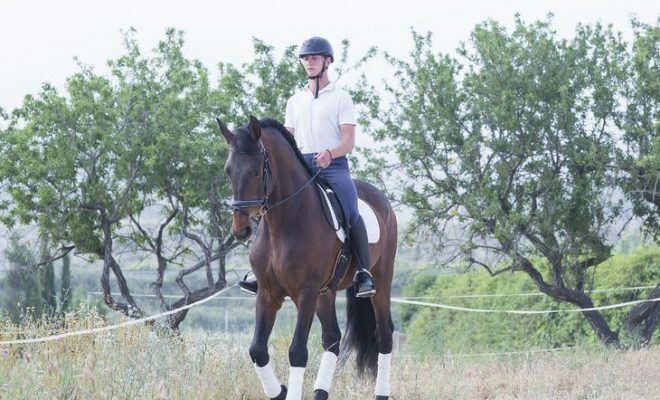 When your leg comes too far forwards, you will find yourself either tipping forward to try to keep your balance, or leaning backwards in an effort to keep your body straight in the saddle. If you pin your knees into the saddle, your seat can become insecure. This means that if your horse spooks, bucks or otherwise misbehaves, you could easily end up on the floor! Try the following techniques to help free-up your knees and stop you from gripping the saddle. 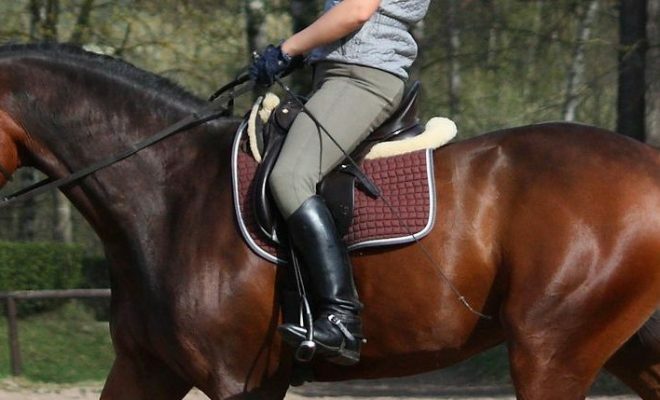 Remove your stirrups and cross them in front of the saddle, on the horse’s withers. Begin in walk. Allow your legs to hang straight down, then alternately straighten and bend your knees, so they swing independently of your horse’s sides. As your left leg straightens, bend your right leg, and then vice versa on the next stride. Lift your knee straight up (not out to the side). Hold it just long enough to release your grip, and then let it fall down again. 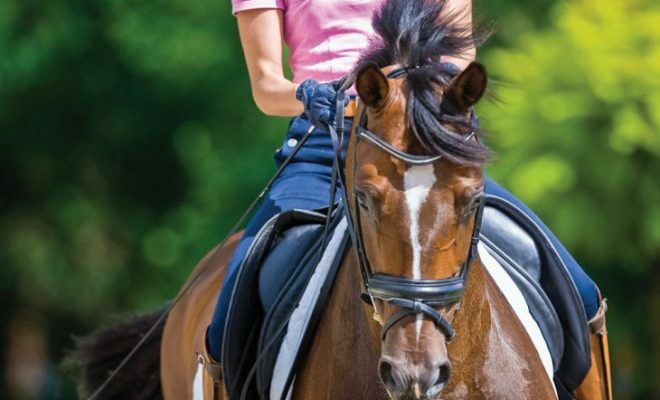 Practice these exercises every day at walk, trot and canter. Gripping with your knee is a common fault that can compromise your position in the saddle and lead to confusing aids for your horse. Practice the exercises given above to help release your knee and improve your overall position and effectiveness.